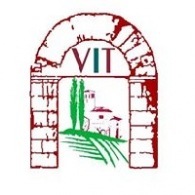 Average rating of 0.0 for all Vita Italian Tours trips. Explore Urbino one of Italy’s fascinating towns of the Renaissance. Experience visits to Loreto, Recanati, Gradara, San Marino and Novilara. Visit the medieval hill town of San Gimignano. Discover Florence, beautiful city and wander through the famous markets shopping for leather and gold goods.